This lesson is only relevant if you are using QuickBooks Online (not QuickBooks for the desktop). 1. The first step is to create the download batches. To batch rental time and aircraft receipts, go to Billing Admin >> Downloads >> Rent/Receipts. 2. Click the 'Create Batches' tab to enter the parameters for creating the rent or receipts batch. If you select 'All Resources', it will create separate batches for each of the aircraft (or boats). Be sure to run both for rental time and for receipts. 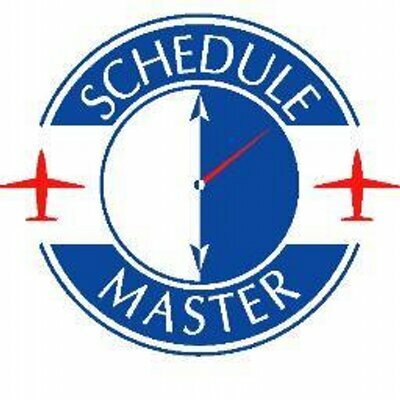 All aircraft rental time will be filtered by schedule date unless the transaction was not associated with a schedule, in which case it will be filtered by transaction date. The accounting date is the date of the journal entry that will be created in QuickBooks Online. To view the individual transactions in a batch, you can click the select in the left column to select the batch as seen in the image below. 3. Next, batch all other transactions. Go to Billing Admin >> Downloads >> Other Trans. Create batches for each of the transaction types. If you are downloading your bank transactions from a bank site, then you may choose to not download this type of transaction. FYI - If you are not creating owner statements, then you will not see the 'Owner income/expense' option. 4. Once the batches are created, you are ready to run the download. Click on the 'Run QBO Download' link in either of the 2 screens. (The link is located next to the 'Awaiting Download' label.) Then, click the 'Connect to QuickBooks' button. This will bring up a popup window where you can enter your log-in for your QuickBooks Online account. Finally, click the 'Authorize' button. 5. This will bring you to the menu for creating the QuickBooks Online Transactions. If you are creating Owner Statements in QuickBooks Online instead of in Schedule Master, you will have a link for 'Create Owner Statement Trans'. This will create journal transactions for rent and receipt transactions against owner accounts in QuickBooks. The option labeled 'Create Accounting Trans' will create journal entries which summarize all transactions from Schedule Master for accounting purposes (i.e. income/expense statements, bank reconciliation, etc.). The journal entries are made against balancing AR transactions. 6. Once in the download screen, click the download button. If the program stops to update an interface or inform you of an error, you may need to click the download button multiple times. It will give you instructions and let you know the status. FYI - If you run the owner statement transactions and need to get back to the menu, click the 'Home' tab. When you are done, click the link for 'Disconnect from Quickbooks'. Use the Schedule Master menu to get back to the download batch screen to see any details on the results.